Belonging to the Vercors range, very cose to Grenoble, the wild Pissarde canyon offers a nice succession of waterfalls in a beautiful scenery. 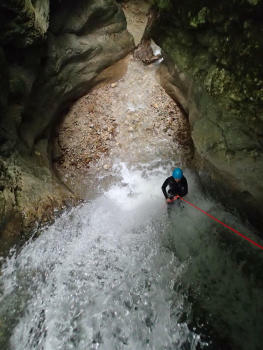 The Pissarde has a series of small deep gorges with beautifully sculpted rock. 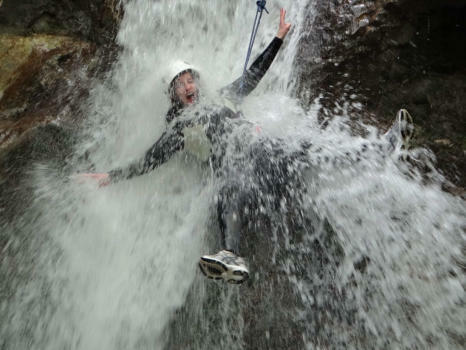 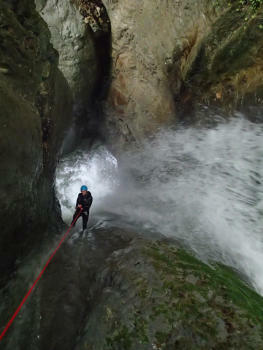 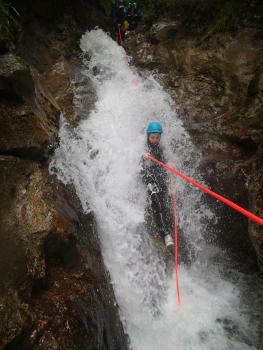 Various rappels will give you the opportunity to discover this activity. 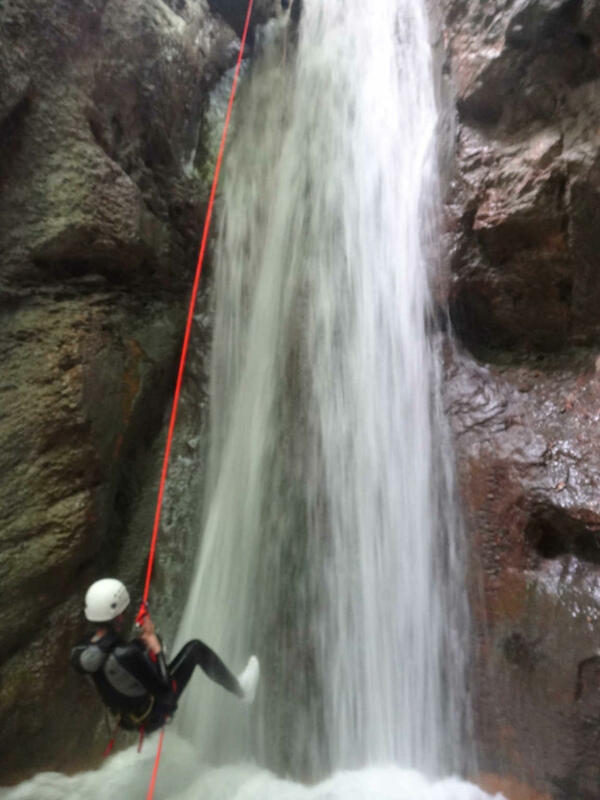 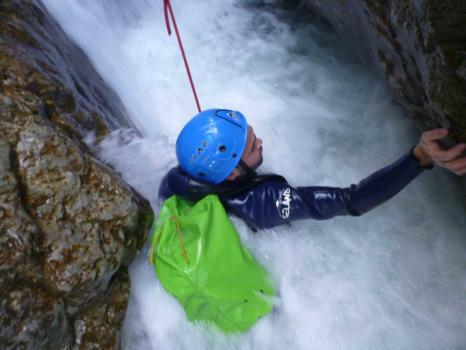 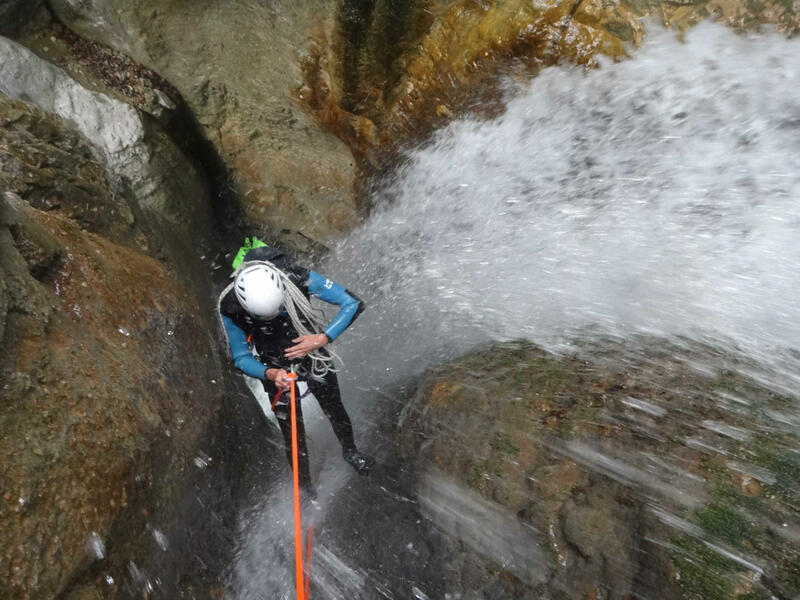 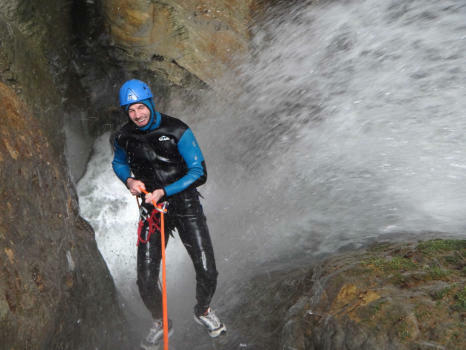 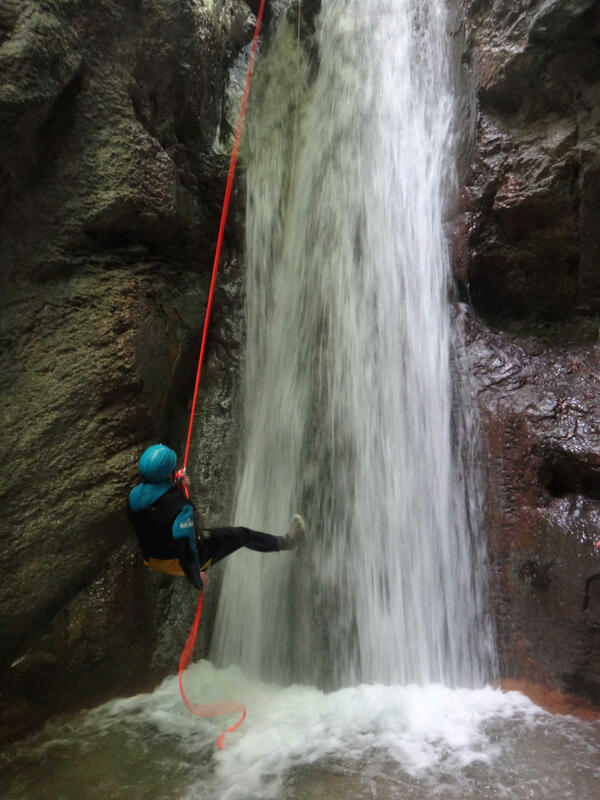 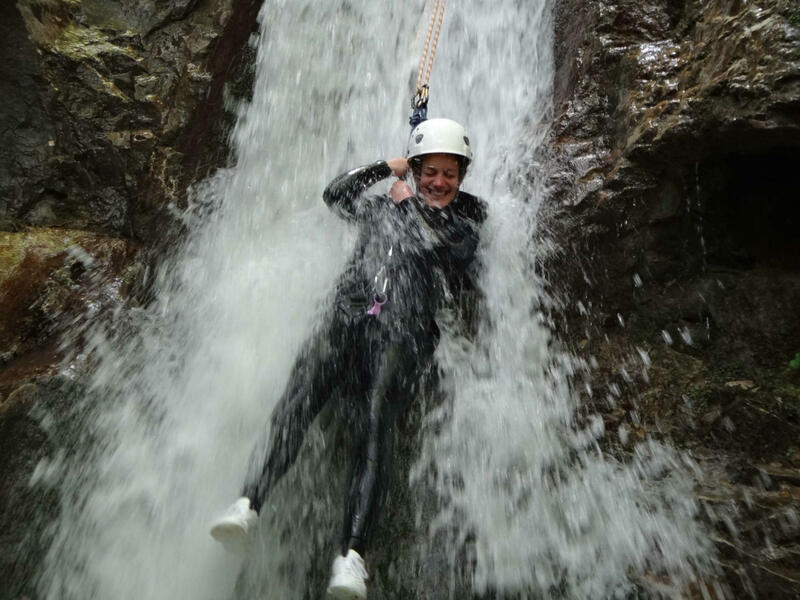 For those who wish to do more, it is possible to go further down the river (several nice rappels) including the option of rappelling down the impressive 80m waterfall (for more information contact us). 4,5 Stunden Höhlenerkundung in der Nähe von Lans-en-Vercors. . 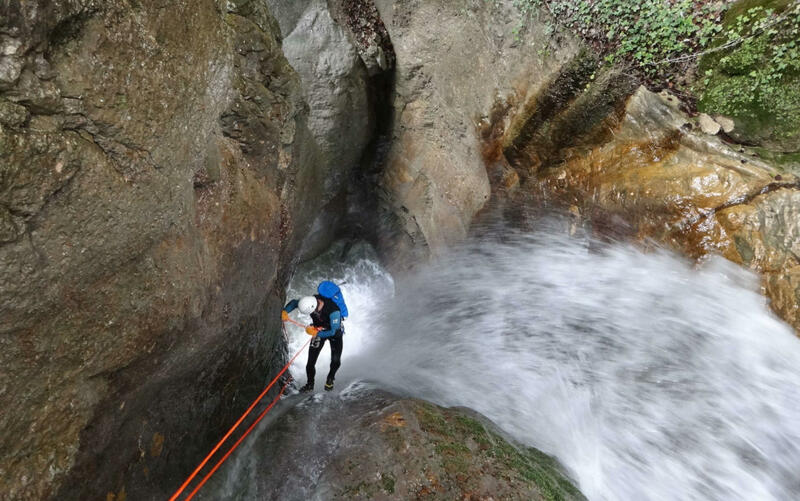 Die Vertikal-Entdeckung schlechthin mit einer Abseilstrecke in einen Schacht mit 30 m Tiefe und einem Saal mit hängendem und stehendem Tropfstein.